Washington and its NATO allies have already spent over $110 million on “security assistance” to Ukraine and are considering increasing the “lethality” of the aid, a top US diplomat told a Congressional committee in an accusatory anti-Russia speech. 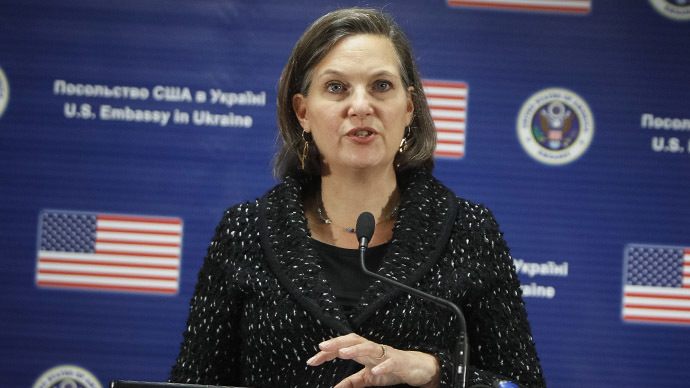 “We have, over the last 14 months, provided $118 million in security assistance” to the authorities in Kiev, Assistant Secretary of State Victoria Nuland told the House Committee on Foreign Affairs on Wednesday. In addition to training, the aid included high-end defensive systems such as artillery radars and communications equipment. “All 28 NATO allies have provided some form of security assistance to Ukraine,” said Nuland. While visiting Hungary in mid-February, Russian president Vladimir Putin told reporters that the West had been supplying Kiev with weapons, but that he was still optimistic about the ceasefire agreed at Minsk days earlier. 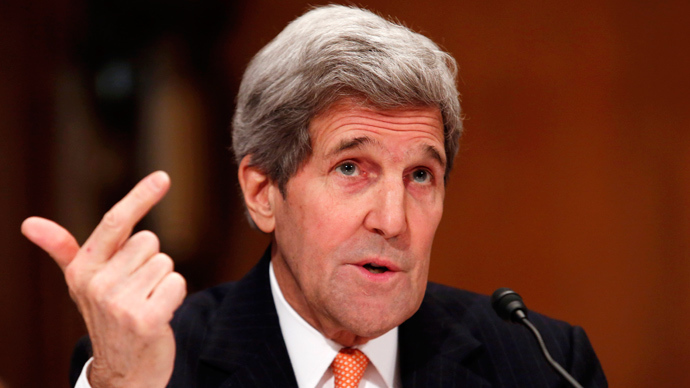 At the time, the claim was rejected as “incorrect” by State Department spokeswoman Jen Psaki. Asked whether Washington might rather send Ukraine money to buy weapons, Nuland said the government in Kiev has had “a lot of difficulty” getting countries to sell it weapons “in the absence of the US providing” them. She could not, however, say whether or when the White House may decide to send weapons to Kiev. 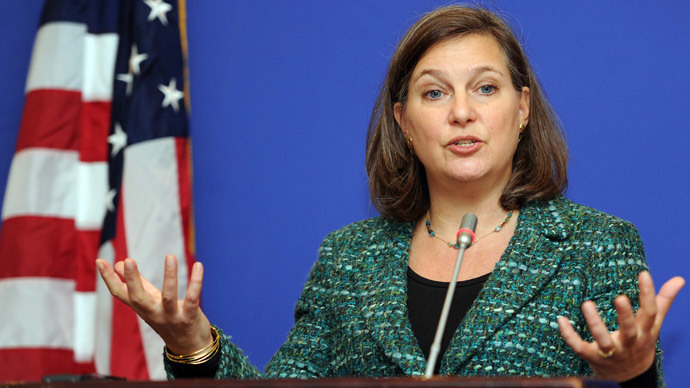 Meanwhile, the US has been ramping up its information campaign which Nuland says is aimed at “countering lies with truth.” Washington will spend over $23 million on Russian-language programming in 2015 – an increase of 49 percent from last year, and over 100 percent from 2013. This would involve “training” for Russian-speaking journalists, “support” for civil society watchdogs and independent media, and “exchange programs” for students and entrepreneurs, among other things, Nuland explained. The US’ truthful information campaign efforts seem to have had some effect – particularly in the Capitol. 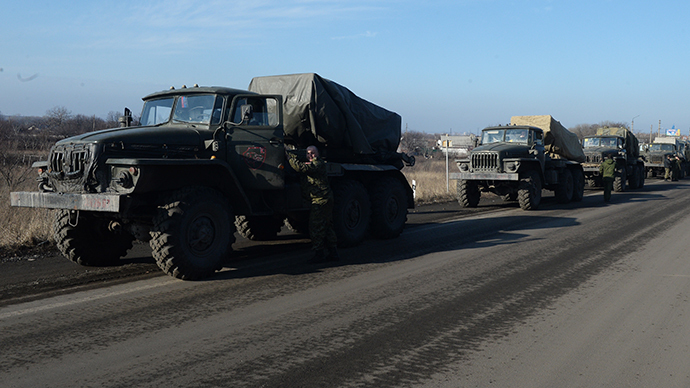 Congressman Eliot Engel (D-NY) recently referenced a recent Radio Free Europe story, and cited as fact the unsubstantiated claim by US Army General Ben Hodges that 12,000 Russian troops were allegedly present in Ukraine. And RFE is just a small part of the international broadcast service of the US government. The US assistant secretary did not bother to back her sweeping statements and strong rhetoric against Russia with much evidence. At one point she even seemed to have thrown her own piece of propaganda by gluing together various statements in one very long sentence, apparently designed to create the feeling that Russia was to blame for everything happening in Ukraine. “In eastern Ukraine, Russia and its separatist puppets have unleashed unspeakable violence and pillage; hundreds and hundreds of Russian heavy weapons and troops have poured across the border; a commercial airliner was shot down this summer; Donetsk airport was obliterated,” Nuland said. Nuland’s testimony included the claim that “hundreds” of Russian tanks and other weapon systems have entered Ukraine to support the militias in Donetsk and Lugansk, all as Washington or any of its allies are yet to prove any of those hot headed statements. When, back in December, Americans planned to publish photos allegedly of Russian vehicles entering Ukraine – they turned out to be 2008 photographs from South Ossetia. The only objective international monitoring force, the OSCE, has never detected any crossings of Russian military or its equipment into Ukraine. “Crimea and parts of eastern Ukraine suffered a reign of terror,” said the chief strategist of US foreign policy in Ukraine, simply neglecting the fact that it was the chaos in Kiev that forced the Crimean referendum and subsequent ascension of the peninsula into Russia. The US diplomat also neglected to mention the thousands of civilian casualties which have occurred as a result of Kiev’s so-called anti-terrorist operation in the east, launched after people in the region refused to recognize the coup in Ukraine. Nuland implied that it was Moscow’s actions that forced some 1.7 million Ukrainians to flee their homes – most of whom by coincidence ended up moving to Russia, the country taking care of the massive inflow of refugees. “This is a manufactured conflict – controlled by the Kremlin; fueled by Russian tanks and heavy weapons; financed at Russian taxpayers’ expense and costing the lives of young Russians whose mothers, wives and children are told not to investigate their deaths too closely if they want to receive benefits,” Nuland said failing to take into the account Washington’s role in the Ukrainian tragedy. Nuland's statement seemed to have resonated with equal passion inside the committee. The committee chair, Representative Ed Royce, said the Kremlin “has recruited every skinhead and every malcontent in the Russian-speaking world and tried to bring them into the east” of Ukraine. Representative Eliot Engel accused Russia’s foreign minister, Sergey Lavrov, of spreading “lies, lies and more lies” and representative Albio Sires called the Russian president, Vladimir Putin, “a KGB thug who happens to be the head of another state,” as quoted by the Guardian. And while a number of Congressmen insisted that the Minsk ceasefire was not holding, and Nuland claimed the OSCE had confirmed “about a hundred” violations – the OSCE itself has just confirmed ceasefire violations over the past week have been on the decline in east Ukraine. “What we are looking at is pure rhetoric and propaganda in the service of a preconceived geopolitical project, which has as one of its objectives that Minsk-2 doesn’t work – that Russians are ‘violating it.’”, adds foreign affairs editor at the Chronicles magazine, Srdja Trifkovic.